This entry was posted in Mindful Pregnancy and tagged discomfort, empowerment, pain, pregnancy, prenatal-yoga, relationships, support by Barbie. Bookmark the permalink. So excited to hear the up date about your preggo self! 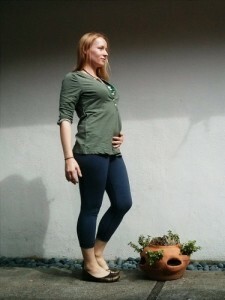 I’m also so glad you are finding the info from my prenatal yoga training helpful:) Hope to see you in prenatal yoga soon. You know where to find me! I felt Rosie’s first kick doing yoga as well. It was in a prenatal class doing child’s pose! But a couple weeks later than you. 18 weeks is early for first-timers!